The Republican National Convention is kicking off on Monday, and one day after three Baton Rouge police officers were killed, attendees and protestors will be able to brandish weapons like an AR-15 in the area around the arena in downtown Cleveland. Fears of violence and potential ensuing pandemonium after any attack with so many people walking around with guns has prompted the Cleveland police union to write to Ohio Gov. John Kasich. Basically "open carry" has got to go, they say, at least during the RNC. We are sending a letter to Gov. Kasich requesting assistance from him. He could very easily do some kind of executive order or something — I don't care if it's constitutional or not at this point. They can fight about it after the RNC or they can lift it after the RNC, but I want him to absolutely outlaw open-carry in Cuyahoga County until this RNC is over. The July 17 shooting in Baton Rouge began after someone called 911 about a person on the streets with a weapon. Technically, Louisiana is open carry too, so that in itself was not a crime. Once the police arrived, the shooting began right away; imagine if that were to happen in a busy crowd outside the convention. After the Dallas shootings, police said the many armed civilians in the crowd made it difficult to differentiate between good guys and bad guys. They even erroneously named a protestor as a suspect. We are going to be looking very, very hard at anyone who has an open carry. An AR-15, a shotgun, multiple handguns. It's irresponsible of those folks — especially right now — to be coming downtown with open carry AR's or anything else. I couldn't care less if it's legal or not. We are constitutional law enforcement, we love the Constitution, support it and defend it, but you can't go into a crowded theater and scream fire. And that's exactly what they're doing by bringing those guns down there. It doesn't sound like Gov. 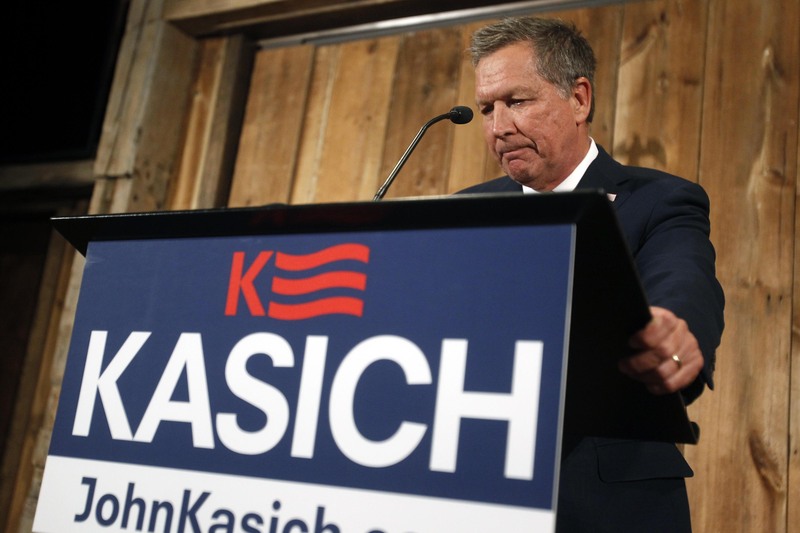 Kasich, a friend of the gun lobby, will heed the police union's call. He responded to the Baton Rouge attacks, offering condolences. But that will not result in any temporary ban. Kasich responded to the police's request, saying, "Ohio governors do not have the power to arbitrarily suspend federal and state constitutional rights or state laws as suggested." Cleveland Police Chief Calvin Williams told The Washington Post that anyone with a long gun or assault rifle will be approached by the police, who will ascertain if said individual poses any threat. If the answer isn't a firm no, police will stay with them. "If we think they're an issue, we kind of stay with them. If we don't think they're an issue, they go about their business," Williams told the Post. It appears that open carry will continue, regardless of what the police request. Keep your thoughts with the officers, as they will be among the most at risk during the convention.